Spacious three bedroom family home situated in the popular central location of Stoke. 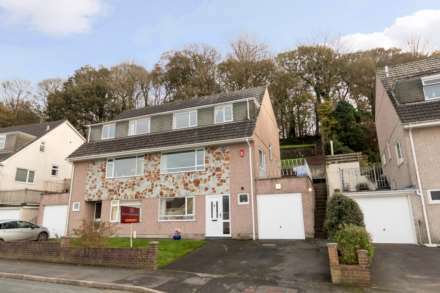 The property is well presented throughout and offers generous living accommodation comprising, lounge, dining room with double doors to a level rear garden, kitchen, three bedrooms and four piece bathroom. Other features include a large single garage to the rear, level rear courtyard garden with outbuilding, gated front garden, gas central heating, ample storage and double glazing. Feature electric fire with surround, feature bay window to front apsect overlooking the front garden, door leading to entrance hall, sliding doors leading to dining room. Feature electric fire, door leading to entrance hall, sliding doors leading to the lounge, double doors leading to rear garden. Range of wall and base units with complimentary worksurfaces and tiled splashbacks. Space for cooker, fridge/freezer, one and a half bowl sink drainer unit with mixer tap, window to side aspect and door providing access to rear garden. Generous double bedroom with window to rear aspect overlooking the rear garden. Window to front aspect, ceiling mounted light point. Generous four piece bathroom suite comprising, corner bath with mixer tap and shower attachment, corner shower cubicle, low flush w.c, pedestal hand wash basin with tiled splashbacks, frosted window to rear aspect. Gated access with path leading to front entrance. Low maintenance garden to one side. Low maintenance rear garden mainly laid to paving accessed via the dining room or kitchen with gated rear access to service lane and large single garage. Storage outbuilding.